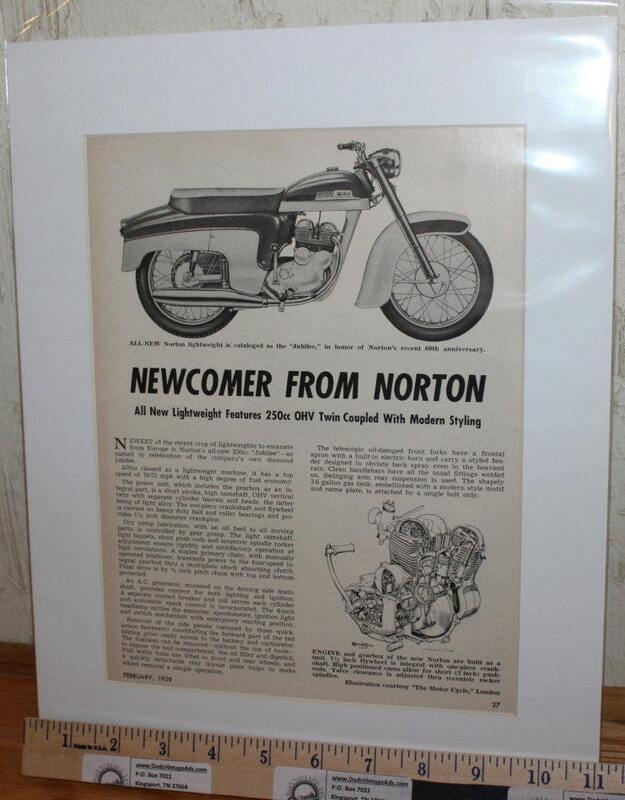 Original, vintage motorcycle Print Ad, matted as shown, ready to insert into an 11" x 14" frame. Great vintage motorcycle artwork print to decorate your office, garage, basement, rec room & more! Makes a great gift! Size including mat: 11" x 14"
Image area: approx. 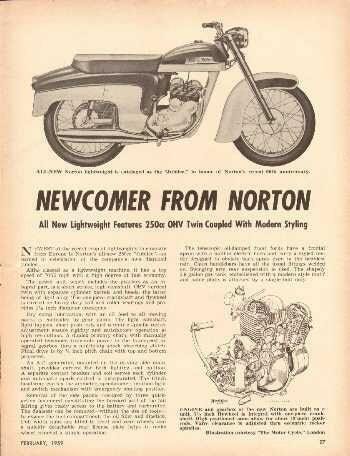 7 1/2" x 10 1/4"
All-New Norton lightweight is cataloged as the Jubilee in honor of Norton's recent 60th anniversary.